Preparing for a Vocabulary test - Everything you Need to Know to Increase your Score! Vocabulary tests become increasingly discouraging when you think of the enormous number of words that might come up in the exam. As the exam date draws near, your anxiety will grow because you know that no matter how many words you memorize, chances are, you will still remember so few. 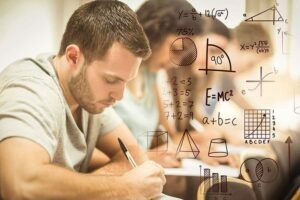 Here are some tips which you can use to hurdle the big words that may come up in your exam without having to open the dictionary and memorize all the words known to man. 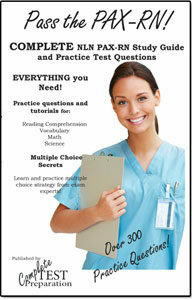 Most College Entrance Exams and High School tests such as the HSPT and Nelson Denny, have vocabulary components. Build up and tear apart the big words. Big words, like many other things in the universe, are composed of small parts. Some words are made up of many other words. A man who lifts weights for example, is a weightlifter. Words are also made up of word parts called prefixes, suffixes and roots. Often times, we can see the relationship of different words through these parts. A person who is skilled with both hands is an ambidextrous. A word with double meaning is ambiguous. A person with two conflicting emotions is ambivalent. Two words with synonymous meanings would often have the same roots, or what we know as basic words. Bio, a root word derived from Latin is used in words like biography meaning to write about a person’s life, and biology meaning the study of living organisms. Did you know that the word Husband not only means a married man but also thrift or frugality? Sometimes, words have double meanings. The dictionary meaning or the denotation of a word is sometimes different from the way we use it or its connotation. When you first look at the choices, see what has the closest meaning or the closest relationship with the given word and that might just be the meaning. Read widely, read deeply and read daily. The best way to expand your vocabulary is to familiarize yourself with as many words as possible through reading. By reading, you are able to remember words in a proper context and thus, remember its meaning or at the very least, its use. Reading widely would help you get acquainted with words you may never use every day. Here is a very detailed review of learning vocabulary by reading. When you read and encounter interesting words that you want to master, the best way to remember them is to look up the meaning in the dictionary and list it down. Keep a list of the words you want to remember and always read it on your free time. To prepare for an exam, it may also help to create flash cards of the words you expect will come up in the exam. Use different memory tricks like word association or use of context to remember the words. Always remember that big words are easy to understand when the small parts are torn apart, and that words may have several other meanings aside from the one you already know. The best way to improve your vocabulary is always by reading and the best way to remember is by taking notes. When you realize that even big words are not so big that they cannot be hurdled, vocabulary tests becomes less frightening and may even be fun. Be Committed To Learning New Words. To improve your vocabulary you need to make a commitment to learn new words. Commit to learning at least a word or two a day. You can also get new words by reading books, poems, stories, plays and magazines. Expose yourself to more language to increase the number of new words that you learn. The best way to improve your vocabulary is to read everything you can get your hands on. However, if you are studying for a test with a vocabulary section, the ‘reading approach’ isn’t practical. The next best method is memorization of lists. 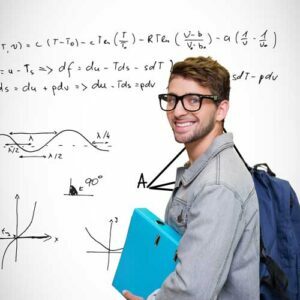 Here are some tips that will make memorization easier. Learn Practical Vocabulary. As much as possible, learn vocabulary that is associated with what you do and that you can use regularly. For example learn words related to your profession or hobby. Learn as much vocabulary as you can in your favorite subjects. Use New Words Frequently. As soon as you learn a new word start using it and do so frequently. Repeat it when you are alone and try to use the word as often as you can with people you talk to. You can also use flashcards to practice new words that you learn. Learn How To Use Word Right. If you don’t understand the proper usage, look it up and make sure you have it right. Use a Dictionary. When reading textbooks, novels or assigned readings, keep the dictionary nearby. As soon as you come across a new word, check for its meaning. If you cannot do so immediately then you should write it down and check it as soon as it is possible. This will help you understand what the word means and exactly how best to use it. You can then begin to use the words immediately. Learn Word Roots. English words are usually derived from suffixes, prefixes and roots, which come from Latin, French or Greek. Learning the root or origin of a word helps you easily understand the meaning of the word that is derived and other words that are derived from the root. This is a great two-for-one strategy. Most prefixes, suffixes, roots and stems are used in 2, 3 or 4 or more words, so if you know the root, prefix or suffix, you can guess the meaning of many words. Use Flash Cards. Flash cards are one of the best ways to memorize things. They can be used anywhere and anytime, so you can make use of odd free moments waiting for the bus or waiting in line. Make your own or buy commercially prepared flash cards, and keep them with you all the time. More on Using Flash Cards. Make word lists. Learning vocabulary, and learning many things, requires repetition. Keep a new words journal in a separate section or separate notebook. Add any words that you look up in the dictionary, as well as from word lists. Review your word lists regularly. Photocopying or printing off word lists from the Internet or handouts is not the same. Actually writing out the word and a few notes on the definition is an important process for imprinting the word in you brain. Writing out the word and definition in your New Word Journal, forces you to concentrate and focus on the new word. Hitting PRINT or pushing the button on the photocopier doesn’t do the same thing. More information about Vocabulary from Wikipedia. 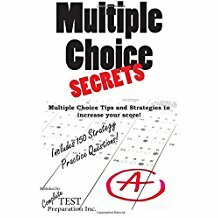 How to Answer Multiple Choice! 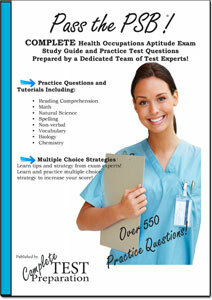 Learning how to answer multiple choice questions on a standardized test is a powerful tool for increasing your score! Probably the best way to increase your vocabulary is reading – BUT this is a longer term strategy – over the course of several months, if you read a lot, you will increase your vocabulary. If you are studying for a test like the Nelson Denny, HSPT, ISEE where you have to increase your vocabulary in a short period of time, just “reading more” isn’t going to help. So – the next best strategy is memorizing word lists – shoot for 25 new words a day. Husband now also means a man married to a man.